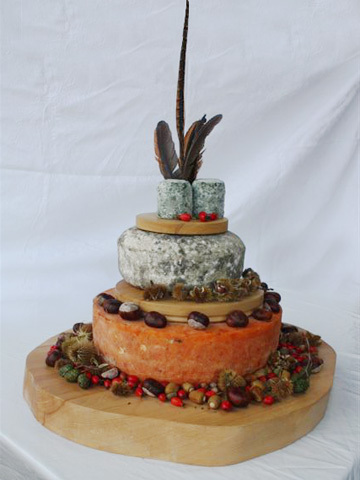 The Sparkenhoe- traditional and vintage, makes a wonderful base for any cheese cake for any occasion. We can also supply the cheeses for all the other tiers you require with our own cheeses- Sparkenhoe Blue, Bosworth Field, Jo’s cheese and Battlefield Blue, and other British cheeses we stock. Please visit us in our shop on a Friday or Saturday morning to sample the cheeses and we can help you design your cheese tower.We can also send you information via e-mail. 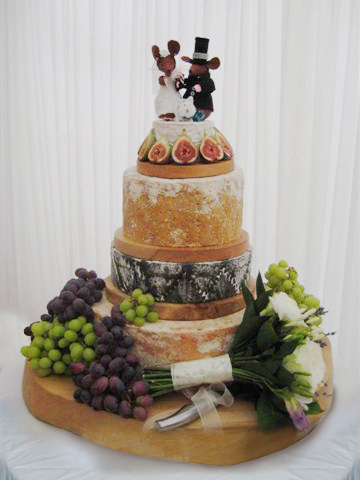 Just to give you an idea, the price for a 4 tier cake with approx 20Kg of cheese would be around £220.00.